Kang Yang Mo (Kang Yang-mo) is the Chairman of the Namp’o (Nampho) Workers’ Party of Korea [WPK] City Committee and a member of the WPK Central Committee. Kang is also a deputy (delegate) of the Supreme People’s Assembly. Kang Yang Mo’s official career began as a Korean People’s Army [KPA] officer. He migrated into the party leadership in 1991 when he was appointed chief secretary of the Changgang WPK County Committee in Chagang (Jagang) Province. He held that position until 2000. In 1993 he served as chairman of the Changgang County People’s Committee on an interim basis. In December 2009 was identified as Chief Secretary of the Namp’o City WPK Committee replacing Hong Chun Sam. In January 2010, with his new position, Kang delivered a report supporting the 2010 New Year’s Day joint editorial at a meeting of Namp’o officials. In September 2010 he presided over the Namp’o meeting of party representatives and later that month was elected a full member of the WPK Central Committee. Notably, Kang attended Kim Jong Il’s first observed public appearance in the year 2011 when the late DPRK leader visited the Namp’o Glass Bottle Factory. He would later be a member of the national funeral committee for KJI’s demise. Kang is regular platform member at national events. was a platform member at the February 16, 2012 ceremony which renamed the Ku’msusan Palace in Pyongyang and was also a platform member at the 4th Meeting of Party Cell Secretaries in January 2013. Kang Yang Mo was elected a deputy to the Supreme People’s Assembly in March 2014. 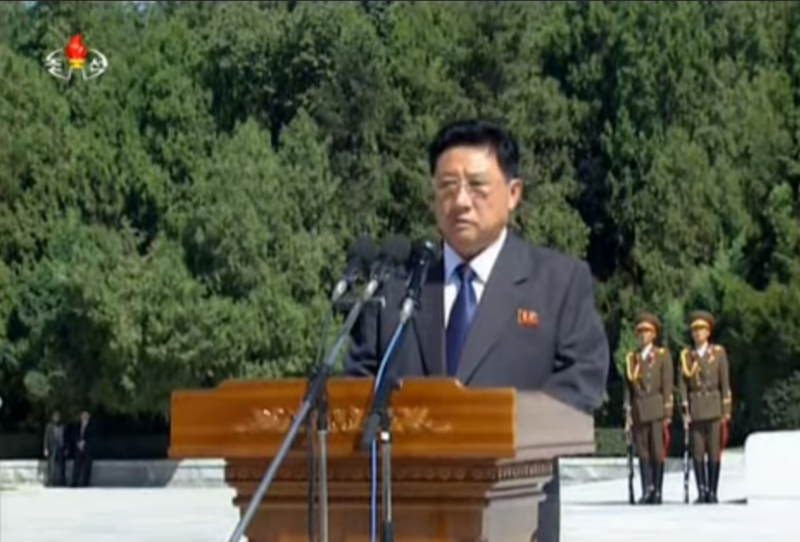 In April 2016, Kang delivered a speech at the Namp’o Party Conference nominating Kim Jong Un as a delegate to the 7th Congress of the WPK (7th Party Congress). During the 7th Party Congress, Kang was a platform member during the party congress and his position changed from chief secretary to Chairman of the Namp’o WPK City Committee. Kang Yang Mo, according to ROK records, was born in 1944.